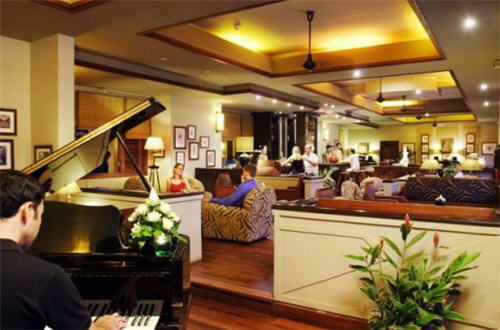 Victoria Angkor Resort & Spa delivers on the comfort, elegance and, superb refinement of the French Art de Vivre in the heart of Siem Reap. 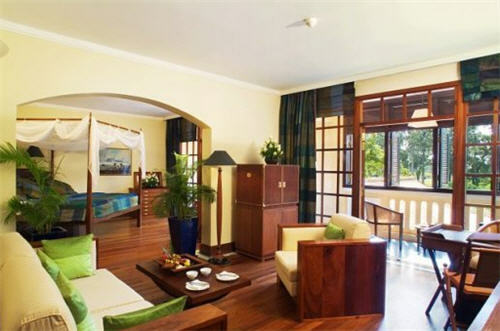 The building’s graceful colonial architecture of the 1930′s provides a sense of peaceful tranquility. The Hotel has been designed to be in total harmony with its natural surroundings and is enchantingly situated opposite the Royal Park. 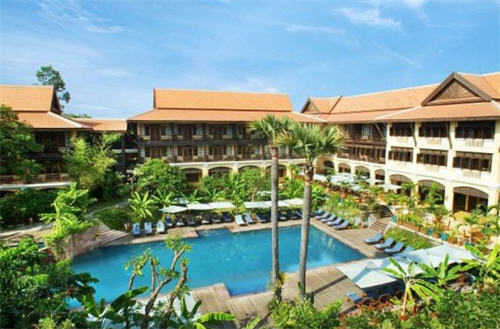 The Hotel is located within close proximity to World Heritage listed Angkor Temples, the quaint old market town of Siem Reap and only minutes from the international airport. This hotel gets good comments from guests on being fine value for money and less expensive than most other hotels boasting a five-star rating. 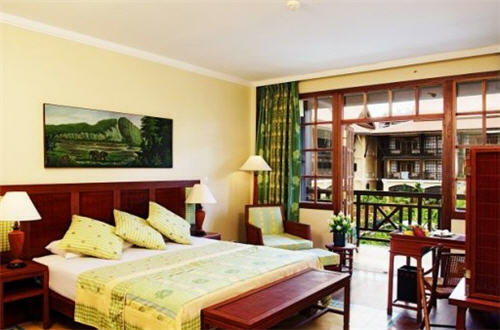 The lovely colonial architecture gets everybody’s attention and the swimming pool is one of the more popular amenities at this resort with the spa and massage being a close second and often described as Heavenly. 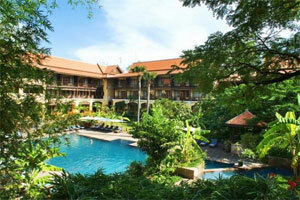 The staff are always friendly and never without a smile and they all speak English fluently. Breakfast is a highlight at this property with expansive and delicious spreads including an array of bacon, sausages, eggs, waffles, pastries, fruit, breads, miso soup, sushi, dim sum, and more. You’ll also want to take advantage of the daily happy-hour special with 50% off between 5 p.m. and 7 p.m. Complimentary finger-food appetizers are presented buffet style and the happy hour applies to both alcohol and equally tantalizing non-alcohol drinks. 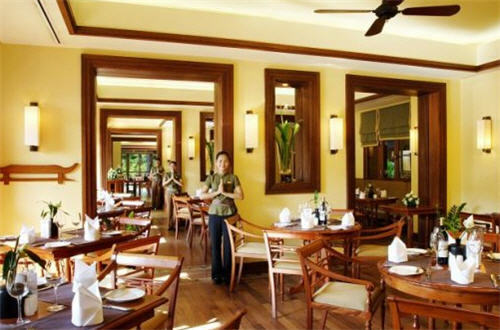 Be sure to enjoy the restaurant for dinner one night because you’ll find the food to be very tasty there as well. 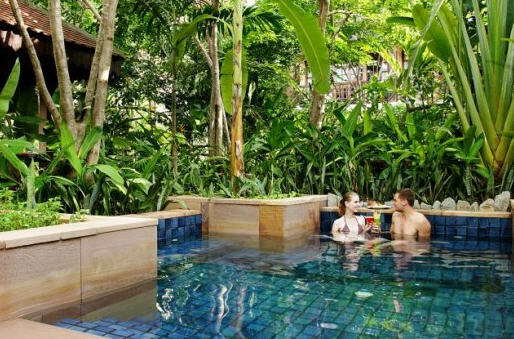 The location here is very convenient, whether you walk, rent a car, or hop in one of the tuk-tuk three-wheel taxis waiting outside the premises at all hours for hotel guests. A typical fare from the hotel to Pub Street where you will find a variety of bars and restaurants, is about US$2 each way for two people. This hotel is family friendly and children are welcome.